Creative eCommerce WordPress themes are best for any kind of for online shops. 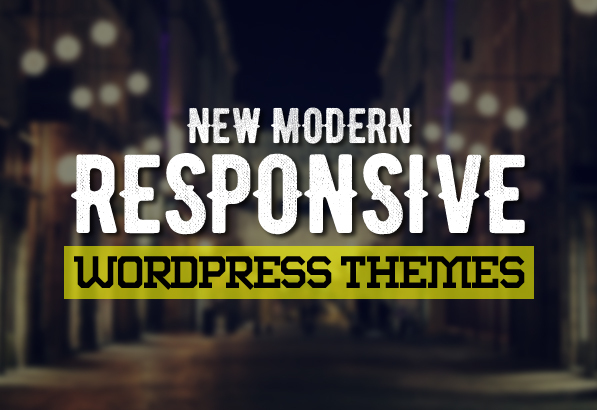 Responsive sophisticated, clean & professional design, high quality HTML5 WordPress themes. All themes are perfectly suited for any kind of shop websites, e-shops, portfolios, blogs, marketing or technology websites, photo, services and others. New WordPress themes are built with Bootstrap and CSS3, these creative theme are fully responsive design ready for the perfect look on any device. It is touch screen optimized, easy to customizable, editable layout, colors, styling, fonts and more. Are you looking for an elegant, powerful, and incredibly versatile WordPress theme to set up a website? Meet theShop, a stunning, fully customizable, Retina-ready web solution designed to take your online store, blog, or portfolio to the next level. Glorious is WordPress ecommerce theme based on WooCommerce plugin. This theme suitable for fashion design, electronics, mobile, foods, jewellery, tools, auto & spare parts and multi purpose stores. It is also multipurpose theme which can be used for any kind of online store. Glorious WooCommerce Theme is looking good with it’s colors combination. All sub pages are customized. It is very nice with its clean and professional look. Blend is a powerfull and flexible multiconcept WordPress Theme. Can be successfully used for corporate site, blog site, ecommerce site, portfolio and many more. It’s created by using the latest HTML5 and CSS3 techniques in accordance with the latest WordPress Coding Standards. Fits all popular mobile devices and tablets. SmartCo is a Clean and Corporate Friendly multi-purpose WordPress theme, It’s Fully Responsive with Powerful theme options, WooCommerce support, Shop ready with cart and checkout, Drag and Drop Page Builder, RTL Language support and WPML multilingual plugin support. Chic uses the WordPress customizer to make it easy for your to tweak the appearance of your website. From here you can choose from three header styles, hundreds of Google fonts, unlimited color options for your theme accents (just use the built-in color pickers) and more. Tlazya is clean one page parallax responsive and retina ready WordPress theme. It can be used for multiple purposes like: Creative Agency, Portfolio etc. Tlazya comes with 3 style of homepages, simple blog, Masonry blog, 3 styles of portfolios, teams, testimonials and more. Fashion Store – Responsive WooCommerce Theme is suitable for fashion and other web shop. We have included multiple layouts for home page, blog page to give you best selections in customization. Golmart – Creative WooCommerce Theme is the best supermarket theme, a multi-shop purpose, sophisticated, clean & profesional design, high quality code for best WooCommerce WordPressTheme. Elise is a our special WordPress Theme for your Fashion store. This theme comes with 4 predefined home page layouts which make you have many choices for your online stores. This theme will be a perfect choice for online fashion store, men store, women store, handbags store, cosmetics shop, luxury jewelry and accessories store. Glorious is wordpress ecommerce theme based on WooCommerce plugin. This theme suitable for fashion design, electronics, mobile, foods, jewellery, tools, auto & spare parts and multi purpose stores. It is also multipurpose theme which can be used for any kind of online store. Glorious WooCommerce Theme is looking good with it’s colors combination.